The documents in this cross connection section are for the education of the public and private sections of the City concerning what cross connections are and the laws governing them. The City of Gloucester makes every effort to ensure that the water delivered to your home and business is clean, safe, and free of contamination. Our staff works very hard to protect the quality of the water delivered to our customers from the time the water is withdrawn from a surface water source, throughout the entire treatment and distribution system. This office also covers the use of wells & City water connections and the use of fire hydrants. If you have any questions or concerns, please feel free to contact this office. 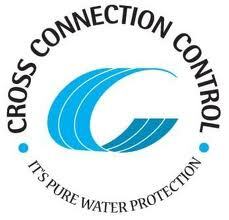 One way that the City of Gloucester water distribution system ensures that they deliver safe, high-quality drinking water to its citizens is to have a cross connection program. This is to identify possible cross connections which could contaminate the water system. We are required by the Massachusetts Department of Environmental Protection under their regulations governing cross connections (301CMR 22.22) to survey facilities. This is done for all commercial, institutional, industrial, municipal, federal, and state-owned facilities. The survey is done to ensure that the City water system is protected from backflow into the City water system under low-pressure conditions such as a water main break or a major fire. The City does not charge for a cross connection survey. There are different types of backflow devices that the City currently tests. The RPZ-reduced pressure zone) which is used for high-hazard applications and the DCVA (double-check valve assemblies) which are used on medium-hazard applications (mostly fire sprinkler systems). When a survey is done on a small office or store, it might take minute but for a large factory, it will take substantially longer. The survey covers everything that is hooked up to potable water in the facility including - but not limited to - aspirators, autoclaves, booster pumps, boilers, car washes, chemical feed pumps, coffee urns, cooling towers, photographic developing equipment, dishwashers, fire protection systems, water heaters, ice makers, lawn irrigation systems, commercial kitchen equipment & dental equipment, commercial shampoo sinks, swimming pools, threaded hose bubs, water treatment devices, etc. A survey should be done every time a new facility goes into service or has additions or renovations which change the plumbing when a business is sold or the use of the facility changes. The surveyor will complete a survey form which must be signed by the owner of the owner's agent and the copy kept on the premises. If a violation is noted, the owner is told at that time and will also be notified by certified mail of the violation; the owner will then have 30 calendar days to bring the violation into compliance. The surveyor is then notified and will return for a resurvey.